Socalrnr.com offers high quality restoration and remodeling services across the San Diego. Socalrnr offers carpet cleaning, mold remediation, fire and smoke clean up, water, sewer and flood extraction services. 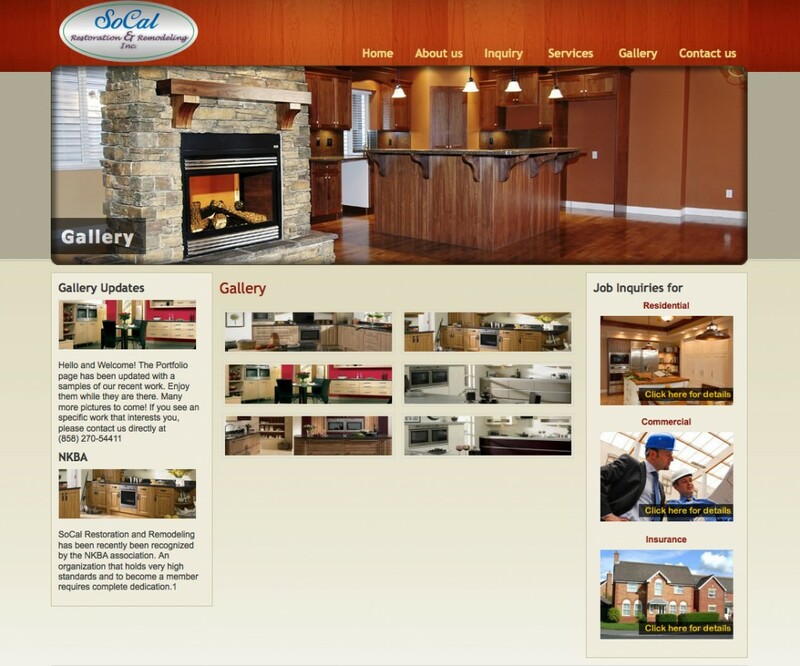 We developed a website that offer restoration and remodeling services. Socalrnr.com is developed in server side scripting language (PHP) / MySQL and Flash with attractive graphics. Prosopo.com website is aimed to offer high quality web design, custom web development, Drupal, Joomla, graphic design, flash animation, corporate logo and identity design, SEO Services and PPC services across the world. 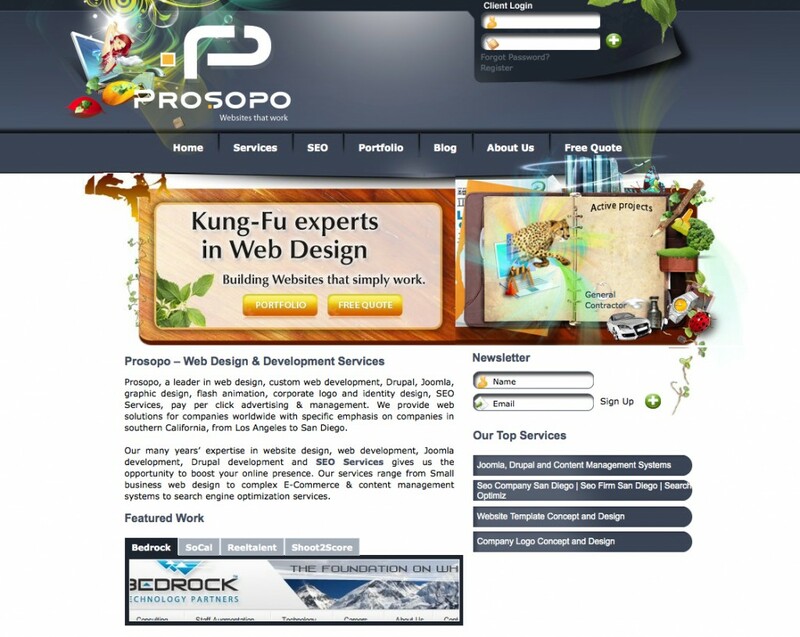 Prosopo.com website is developed using Drupal, MySql and Photoshop. It’s easy to manipulate website contents from back end. Administrator can easily create and manipulate web pages. Positioning your business through website marketing! Giving a new design and look is essential! A company website is a portal to showing your clients what you have to offer. Whether is be a product or service make it look your best. If you have a million dollar business, your website should demonstrate that. Ajax, Joomla, Drupal, Mysql….. whats all this mean? What does it all mean? Quite frankly, don't worry about it! Your business demands enough of you, let your IT & web design team worry about all the jargon. Do what you are best at and hire us to do what we are best at. Call us today and see how we can easily fit into your telephones speed dial. © 2012-2013 8 Track Web Design, San Diego, CA All Rights Reserved .